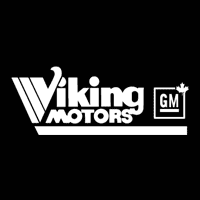 Thanks for visiting Viking Motors’s website. We are Arborg’s premier source for new and used Chevrolet, Buick and GMC vehicles! We offer a full line of pickups, including the Sierra 1500 and the Silverado 1500. Viking Motors also has SUVs for those Arborg Chevrolet and GMC drivers looking to combine comfort and practicality. Take a look at the Encore, Suburban or Acadia. Want something a little more efficient? How about the Terrain or LaCrosse? We also have a full range of certified pre-owned and used cars, trucks and SUVs! Whatever you’re looking for, let Viking Motors help Arborg Chevrolet and GMC customers today!